This home has it all! RV Parking (11x33), Refreshing Pool, Relaxing Spa, 3 Car Garage, Downstairs office/or bedroom & downstairs 3/4 bath. 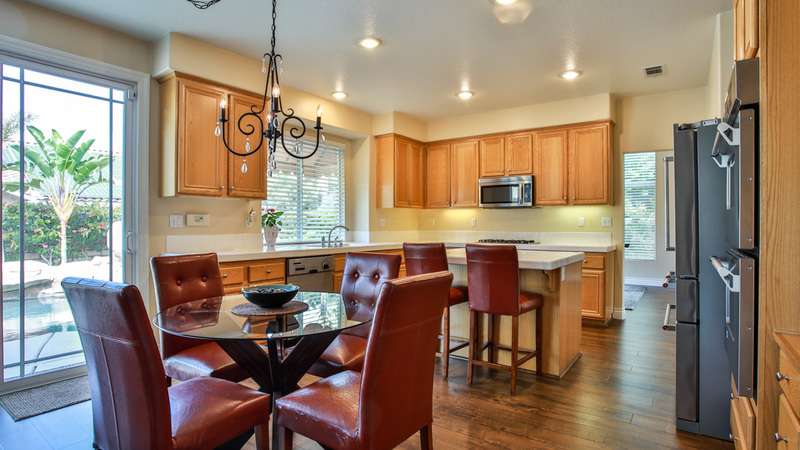 Meticulously maintained this Turnkey Gorgeous home also has soaring ceilings & beautiful wood laminate flooring that flows thru the entire living areas w/5.5" baseboard & continues up the curved staircase to the loft. The kitchen features stainless steel appliances, under cabinet lighting, walk in pantry, recessed lighting, kitchen island bar seating, billing desk & dining area. The family room has lighted ceiling fan, pillared fireplace mantle, & built in speakers that are throughout the whole home, even the garage. The downstairs office could easily be a 5th bedroom & is near the 3/4 bathroom & large laundry rm with side yard access. Upstairs is a spacious loft. The master bedroom has double doors, lots of windows & bathroom that features, dual sinks, dual closest, vanity, privacy toilet door & separate tub & shower. 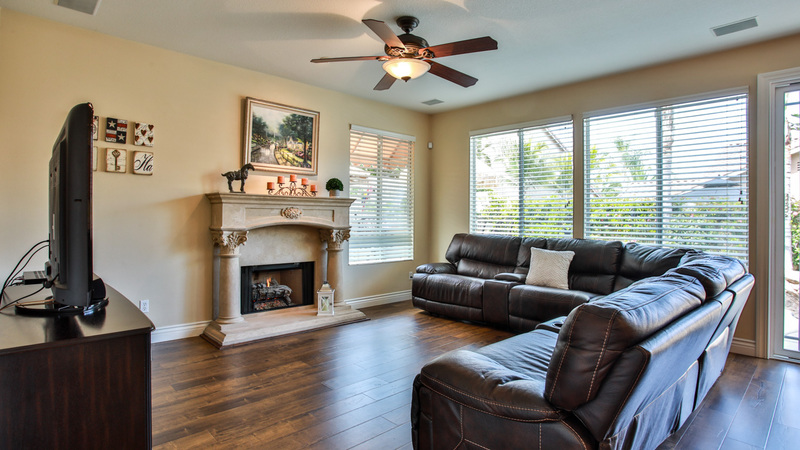 The 3 remaining bedrooms features carpet & lighted ceiling fans. The shared 3rd bathroom has dual sinks & privacy door to the toilet & shower. 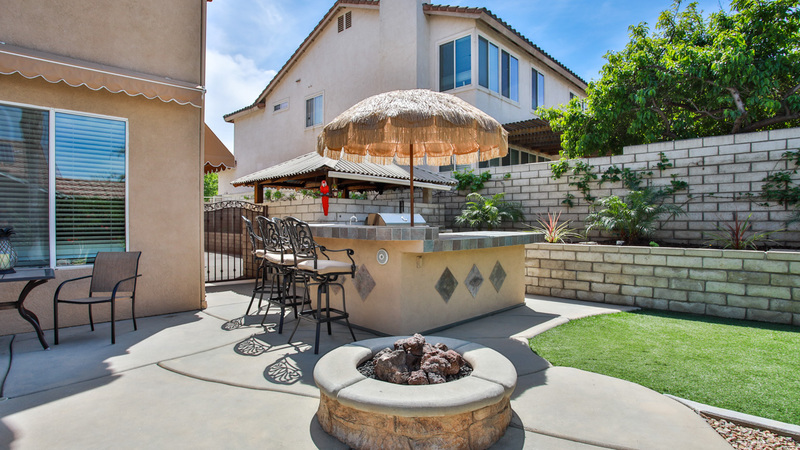 The backyard oasis has a saltwater pool w/rock waterfall w/grotto cave, sun-shelf & spa, built in bar w/BBQ (new), burners, mini fridge, & sink + gas fire pit & concealed pool equipment storage area. Raised planters feature strawberries, blackberries, raspberries, grapes, & herb garden. New Awnings on South & West side of house add energy efficiency along with Whole House Fan.